"Heathrow" and "LHR" redirect here. For other uses, see Heathrow (disambiguation) and LHR (disambiguation). Heathrow Airport, also known as London Heathrow (IATA: LHR, ICAO: EGLL), is a major international airport in London, United Kingdom. Heathrow is the second busiest airport in the world by international passenger traffic, as well as the busiest airport in Europe by passenger traffic, and the seventh busiest airport in the world by total passenger traffic. It is one of six international airports serving Greater London. In 2018, it handled a record 80.1 million passengers, a 2.7% increase from 2017 as well as 480,339 aircraft movements, a 4,715 increase from 2017. Heathrow lies 14 miles (23 km) west of Central London, and has two parallel east–west runways along with four operational terminals on a site that covers 12.27 square kilometres (4.74 sq mi). The airport is owned and operated by Heathrow Airport Holdings, which itself is owned by FGP TopCo Limited, an international consortium led by Ferrovial that also includes Qatar Holding LLC, Caisse de dépôt et placement du Québec, GIC Private Limited, Alinda Capital Partners, China Investment Corporation and Universities Superannuation Scheme (USS). London Heathrow is the primary hub for British Airways and the primary operating base for Virgin Atlantic. In September 2012, the Government of the United Kingdom established the Airports Commission, an independent commission chaired by Sir Howard Davies to examine various options for increasing capacity at UK airports. In July 2015, the commission backed a third runway at Heathrow, which the government approved in October 2016. Heathrow is 14 mi (23 km) west of central London, near the south end of the London Borough of Hillingdon on a parcel of land that is designated part of the Metropolitan Green Belt. The airport is surrounded by the villages of Harlington, Harmondsworth, Longford and Cranford to the north and by Hounslow and Hatton to the east. To the south lie Bedfont and Stanwell while to the west Heathrow is separated from Slough in Berkshire by the M25 motorway. Heathrow falls entirely under the Twickenham postcode area, with the postcode TW6. Along with Gatwick, Stansted, Luton, Southend and London City, Heathrow is one of six airports with scheduled services serving the London area. For a chronicled history of Heathrow Airport, see History of Heathrow Airport. Heathrow Airport originated in 1929 as a small airfield (Great West Aerodrome) on land south-east of the hamlet of Heathrow from which the airport takes its name. At that time there were farms, market gardens and orchards there: there was a "Heathrow Farm" about where the old Terminal 1 was and where Terminal 2 is, a "Heathrow Hall" and a "Heathrow House". This hamlet was largely along a country lane (Heathrow Road) which ran roughly along the east and south edges of the present central terminals area. Development of the whole Heathrow area as a very much larger airport began in 1944: it was stated to be for long-distance military aircraft bound for the Far East. But by the time the airfield was nearing completion, World War II had ended. The government continued to develop the airport as a civil airport. The airport was opened on 25 March 1946 as London Airport and was renamed Heathrow Airport in 1966. The masterplan[clarification needed] for the airport was designed by Sir Frederick Gibberd, who designed the original terminals and central area buildings, including the original control tower and the multi-faith chapel of St George's. Heathrow Airport is used by over 80 airlines flying to 185 destinations in 84 countries. The airport is the primary hub of British Airways and is a base for Virgin Atlantic. It has four passenger terminals (numbered 2 to 5) and a cargo terminal. Of Heathrow's 78 million passengers in 2017, 94% were international travellers; the remaining 6% were bound for (or arriving from) places in the UK. The busiest single destination in passenger numbers is New York, with over 3 million passengers flying between Heathrow and JFK Airport in 2013. In the 1950s, Heathrow had six runways, arranged in three pairs at different angles in the shape of a hexagram with the permanent passenger terminal in the middle and the older terminal along the north edge of the field; two of its runways would always be within 30° of the wind direction. As the required length for runways has grown, Heathrow now has only two parallel runways running east–west. These are extended versions of the two east–west runways from the original hexagram. From the air, almost all of the original runways can still be seen, incorporated into the present system of taxiways. North of the northern runway and the former taxiway and aprons, now the site of extensive car parks, is the entrance to the access tunnel and the site of Heathrow's unofficial "gate guardian". For many years the home of a 40% scale model of a British Airways Concorde, G-CONC, the site has been occupied by a model of an Emirates Airbus A380 since 2008. Heathrow Airport has Anglican, Catholic, Free Church, Hindu, Jewish, Muslim and Sikh chaplains. There is a multi-faith prayer room and counselling room in each terminal, in addition to St. George's Interdenominational Chapel in an underground vault adjacent to the old control tower, where Christian services take place. The chaplains organise and lead prayers at certain times in the prayer room. Aircraft destined for Heathrow are usually routed to one of four holding points. Air traffic controllers at Heathrow Approach Control (based in Swanwick, Hampshire) then guide the aircraft to their final approach, merging aircraft from the four holds into a single stream of traffic, sometimes as close as 2.5 nautical miles (4.6 km; 2.9 mi) apart. Considerable use is made of continuous descent approach techniques to minimize the environmental effects of incoming aircraft, particularly at night. Once an aircraft is established on its final approach, control is handed over to Heathrow Tower. When runway alternation was introduced, aircraft generated significantly more noise on departure than when landing, so a preference for westerly operations during daylight was introduced, which continues to this day. In this mode, aircraft depart towards the west and approach from the east over London, thereby minimizing the impact of noise on the most densely populated areas. Heathrow's two runways generally operate in segregated mode, whereby arriving aircraft are allocated to one runway and departing aircraft to the other. To further reduce noise nuisance to people beneath the approach and departure routes, the use of runways 27R and 27L is swapped at 15:00 each day if the wind is from the west. When landings are easterly there is no alternation; 09L remains the landing runway and 09R the departure runway due to the legacy of the now rescinded Cranford Agreement, pending taxiway works to allow the roles to be reversed. Occasionally, landings are allowed on the nominated departure runway, to help reduce airborne delays and to position landing aircraft closer to their terminal, reducing taxi times. Until it was required to sell Gatwick and Stansted Airports, Heathrow Airport Holdings held a dominant position in the London aviation market, and has been heavily regulated by the Civil Aviation Authority (CAA) as to how much it can charge airlines to land. The annual increase in landing charge per passenger was capped at inflation minus 3% until 1 April 2003. From 2003 to 2007 charges increased by inflation plus 6.5% per year, taking the fee to £9.28 per passenger in 2007. In March 2008, the CAA announced that the charge would be allowed to increase by 23.5% to £12.80 from 1 April 2008 and by inflation plus 7.5% for each of the following four years. In April 2013, the CAA announced a proposal for Heathrow to charge fees calculated by inflation minus 1.3%, continuing until 2019. Whilst the cost of landing at Heathrow is determined by the CAA and Heathrow Airport Holdings, the allocation of landing slots to airlines is carried out by Airport Co-ordination Limited (ACL). Until 2008, air traffic between Heathrow and the United States was strictly governed by the countries' bilateral Bermuda II treaty. The treaty originally allowed only British Airways, Pan Am and TWA to fly from Heathrow to the US. In 1991, PAA and TWA sold their rights to United Airlines and American Airlines respectively, while Virgin Atlantic was added to the list of airlines allowed to operate on these routes. The Bermuda bilateral agreement conflicted with the Right of Establishment of the United Kingdom in relation to its EU membership, and as a consequence the UK was ordered to drop the agreement in 2004. 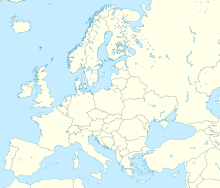 A new "open skies" agreement was signed by the United States and the European Union on 30 April 2007 and came into effect on 30 March 2008. Shortly afterwards, additional US airlines, including Northwest Airlines, Continental Airlines, US Airways and Delta Air Lines started services to Heathrow. The airport has been criticised in recent years for overcrowding and delays; according to Heathrow Airport Holdings, Heathrow's facilities were originally designed to accommodate 55 million passengers annually. The number of passengers using the airport reached a record 70 million in 2012. In 2007 the airport was voted the world's least favourite, alongside Chicago O'Hare, in a TripAdvisor survey. However, the opening of Terminal 5 in 2008 has relieved some pressure on terminal facilities, increasing the airport's terminal capacity to 90 million passengers per year. A tie-up is also in place with McLaren Applied Technologies to optimize the general procedure, reducing delays and pollution. With only two runways, operating at over 98% of their capacity, Heathrow has little room for more flights, although the increasing use of larger aircraft such as the Airbus A380 will allow some increase in passenger numbers. It is difficult for existing airlines to obtain landing slots to enable them to increase their services from the airport, or for new airlines to start operations. To increase the number of flights, Heathrow Airport Holdings has proposed using the existing two runways in 'mixed mode' whereby aircraft would be allowed to take off and land on the same runway. This would increase the airport's capacity from its current 480,000 movements per year to as many as 550,000 according to British Airways CEO Willie Walsh. Heathrow Airport Holdings has also proposed building a third runway to the north of the airport, which would significantly increase traffic capacity (see Future expansion below). Policing of the airport is the responsibility of the aviation security unit of the Metropolitan Police, although the army, including armoured vehicles of the Household Cavalry, has occasionally been deployed at the airport during periods of heightened security. Full body scanners are now used at the airport, and passengers who object to their use after being selected are required to submit to a hand search in a private room. The scanners display passengers' bodies as a cartoon-style figure, with indicators showing where concealed items may be. The new imagery was introduced initially as a trial in September 2011 following complaints over privacy. The airport has 4 active terminals. Terminal 1 is a disused terminal that was closed in 2015. It formerly housed Star Alliance airlines along with some British Airways destinations. Terminal 2, the newest terminal formerly served Virgin Atlantic Little Red and now houses Star Alliance members along with Aer Lingus, Eurowings, the new Flybe, and Icelandair. Terminal 3 houses Oneworld and some SkyTeam members, Virgin Atlantic, Delta Air Lines, Garuda Indonesia, Middle East Airlines, all new airlines, and few other unaffiliated members with the exception of Iberia, Malaysia Airlines and Qatar Airways. Terminal 4 serves SkyTeam, Malaysia Airlines and Qatar Airways, and most unaffiliated members. It also formerly operated Air India as well, who have joined Star Alliance in Terminal 2. Terminal 5 houses the International Airlines Group-British Airways and Iberia. The airport's newest terminal, officially known as the Queen's Terminal, was opened on 4 June 2014. Designed by Spanish architect Luis Vidal, it was built on the site that had been occupied by the original Terminal 2 and the Queens Building. The main complex was completed in November 2013 and underwent six months of testing before opening to passengers. It includes a satellite pier (T2B), a 1,340-space car park, an energy center[clarification needed] and a cooling station to generate chilled water. There are 52 shops and 17 bars and restaurants. Terminal 2 is used by all Star Alliance members which fly from Heathrow (consolidating the airlines under Star Alliance's co-location policy "Move Under One Roof"). Aer Lingus, Eurowings, Flybe and Icelandair also operate from the terminal. Tianjin Airlines is a possible new member at Terminal 2. The airlines moved from their original locations over a six-month period, with only 10% of flights operating from there in the first six weeks (United Airlines' transatlantic flights) to avoid the opening problems seen at Terminal 5. On 4 June 2014, United Airlines became the first airline to move into Terminal 2 from Terminals 1 and 4 followed by All Nippon Airways, Air Canada and Air China from Terminal 3. Air New Zealand, Asiana Airlines, Croatia Airlines, LOT Polish Airlines, South African Airways, and TAP Air Portugal were the last airlines to move in on 22 October 2014 from Terminal 1. Development will continue at the terminal to increase capacity in preparation for the closure of Terminal 3 in 2019. The original Terminal 2 opened as the Europa Building in 1955 and was the airport's oldest terminal. It had an area of 49,654 m2 (534,470 sq ft) and was designed to handle around 1.2 million passengers annually. In its final years it accommodated up to 8 million. A total of 316 million passengers passed through the terminal in its lifetime. The building was demolished in 2010, along with the Queens Building which had housed airline company offices. Terminal 3 opened as the Oceanic Terminal on 13 November 1961 to handle flight departures for long-haul routes for foreign carriers to the United States, Asia and other Far Eastern destinations. At this time the airport had a direct helicopter service to Central London from the gardens on the roof of the terminal building. Renamed Terminal 3 in 1968, it was expanded in 1970 with the addition of an arrivals building. Other facilities added included the UK's first moving walkways. In 2006, the new £105 million Pier 6 was completed to accommodate the Airbus A380 superjumbo; Emirates and Qantas operate regular flights from Terminal 3 using the Airbus A380. Redevelopment of Terminal 3's forecourt by the addition of a new four-lane drop-off area and a large pedestrianised plaza, complete with canopy to the front of the terminal building, was completed in 2007. These improvements were intended to improve passengers' experience, reduce traffic congestion and improve security. As part of this project, Virgin Atlantic was assigned its own dedicated check-in area, known as 'Zone A', which features a large sculpture and atrium. As of 2013[update], Terminal 3 has an area of 98,962 m2 (1,065,220 sq ft) and in 2011 it handled 19.8 million passengers on 104,100 flights. Terminal 3 is home to Oneworld members with the exception of Iberia, which uses Terminal 5, Malaysia Airlines and Qatar Airways which use Terminal 4, SkyTeam members Delta Air Lines, Middle East Airlines, all new airlines and a few unaffiliated carriers. Opened in 1986, Terminal 4 is situated to the south of the southern runway next to the cargo terminal and is connected to Terminals 2 and 3 by the Heathrow Cargo Tunnel. The terminal has an area of 105,481 m2 (1,135,390 sq ft) and is now home to the SkyTeam alliance, with the exception of Delta Air Lines and Middle East Airlines, which use Terminal 3, Oneworld carriers Malaysia Airlines and Qatar Airways, and to most unaffiliated carriers. It has undergone a £200m upgrade to enable it to accommodate 45 airlines with an upgraded forecourt to reduce traffic congestion and improve security. Most flights that go to Terminal 4 are flights coming from Asia and North Africa, as well as a few flights to Europe. An extended check-in area with renovated piers and departure lounges and a new baggage system were installed, and two new stands were built to accommodate the Airbus A380; Etihad Airways, Korean Air, Malaysia Airlines and Qatar Airways operate regular A380 flights. EL AL operates some regular Boeing 747 flights. Terminal 5 lies between the northern and southern runways at the western end of the Heathrow site and was opened by Queen Elizabeth II on 14 March 2008, some 19 years after its inception. It opened to the public on 27 March 2008, and British Airways and its partner company Iberia have exclusive use of this terminal. The first passenger to enter Terminal 5 was a UK ex-pat from Kenya who passed through security at 04:30 on the day. He was presented with a boarding pass by the British Airways CEO Willie Walsh for the first departing flight, BA302 to Paris. During the two weeks after its opening, operations were disrupted by problems with the terminal's IT systems, coupled with insufficient testing and staff training, which caused over 500 flights to be cancelled. Until March 2012, Terminal 5 was exclusively used by British Airways as its global hub; however, because of the merger, on 25 March Iberia's operations at Heathrow were moved to the terminal, making it the home of International Airlines Group. Built at a cost of £4.3 billion, the terminal consists of a four-story main terminal building (Concourse A) and two satellite buildings linked to the main terminal by an underground people mover transit system. The second satellite (Concourse C), includes dedicated aircraft stands for the Airbus A380. It became fully operational on 1 June 2011. Terminal 5 was voted Skytrax World's Best Airport Terminal 2014 in the Annual World Airport Awards. The transport network around the airport has been extended to cope with the increase in passenger numbers. A dedicated motorway spur links the terminal to the M25 (between junctions 14 and 15). The terminal has a 3,800 space multi-story car park. A more distant long-stay car park for business passengers is connected to the terminal by a personal rapid transit system, which became operational in the spring of 2011. New branches of both the Heathrow Express and the Underground's Piccadilly line serve a new shared Heathrow Terminal 5 station. Following the opening of Terminal 5 in March 2008, a complex programme of terminal moves was implemented. This saw many airlines move so as to be grouped in terminals by airline alliance as far as possible. Following the opening of Phase 1 of the new Terminal 2 in June 2014, all Star Alliance member airlines (with the exception of new member Air India which moved in early 2017) along with Aer Lingus and Germanwings relocated to Terminal 2 in a phased process completed on 22 October 2014. Additionally, by 30 June 2015 all airlines left Terminal 1 in preparation for its demolition to make room for the construction of Phase 2 of Terminal 2. Some other airlines made further minor moves at a later point, e.g. Air India moving from Terminal 4 to the other Star Alliance carriers in Terminal 2 or Delta Air Lines merging all departures in Terminal 3 instead of a split between Terminals 3 and 4. Terminal 1 opened in 1968 and was inaugurated by Queen Elizabeth II in April 1969. Before Terminal 5 opened, Terminal 1 was the Heathrow base for British Airways' (BA) domestic and European network and for a few of its long haul routes. The acquisition of British Midland International (BMI) in 2012 by BA's owner International Airlines Group meant British Airways took over BMI's short-haul and medium-haul destinations from the terminal. Terminal 1 was also the main base for most Star Alliance members, some Star Alliance members were also based at Terminal 3. Terminal 1 closed at the end of June 2015. Its site is being used for an extension to Terminal 2, which opened in June 2014. A number of newer boarding gates used by Terminal 1 had been built as part of the Terminal 2 development and are being retained as part of Terminal 2. The last tenants along with British Airways were El Al, Icelandair, the one who moved to Terminal 2 on 25 March 2015, and LATAM Brasil, the third one to move in to Terminal 3 on 27 May, 2015. British Airways was the last operator in Terminal 1. Two flights of this carrier, one departing to Hanover and one arriving from Baku, marked the terminal closure on 29 June 2015. British Airways operations have been relocated to Terminals 3 and 5. When ranked by passenger traffic, Heathrow is the sixth busiest internationally, behind Hartsfield–Jackson Atlanta International Airport, Beijing Capital International Airport, Dubai International Airport, Chicago's O'Hare International Airport, and Tokyo Haneda Airport, for the 12 months ending December 2015. In 2015, Heathrow was the busiest airport in Europe in total passenger traffic, with 14% more passengers than Paris–Charles de Gaulle Airport and 22% more than Istanbul Atatürk Airport. Heathrow was the fourth busiest European airport by cargo traffic in 2013, after Frankfurt Airport, Paris Charles de Gaulle and Amsterdam Airport Schiphol. Heathrow Airport processed 80,102,017 passengers in 2018. New York's John F. Kennedy International Airport was the most popular route with 3,034,155 passengers. The table below shows the 40 busiest international routes at the airport in 2018. The head office of Heathrow Airport Holdings (formerly BAA Limited) is located in the Compass Centre by Heathrow's northern runway, a building that previously served as a British Airways flight crew centre. The World Business Centre Heathrow consists of three buildings. 1 World Business Centre houses offices of Heathrow Airport Holdings, Heathrow Airport itself, and Scandinavian Airlines. Previously International Airlines Group had its head office in 2 World Business Centre. Heathrow Express: a non-stop service direct to London's Paddington station; trains leave every 15 minutes for the 15-minute journey (21 minutes to and from Terminal 5). Trains depart from Heathrow Terminal 5 station or Heathrow Central station (Terminals 2 & 3). A Heathrow Express transfer service operates between Terminal 4 and Heathrow Central to connect with services from London and Terminal 5. TfL Rail: a stopping service to Paddington calling at up to five National Rail stations en route – trains leave every 30 minutes for the 27-minute journey. Calls at Hayes & Harlington for connecting trains to Reading. It will be extended in December 2019 to Abbey Wood and Shenfield via the Elizabeth line. It was operated by Heathrow Connect until May 2018. London Underground (Piccadilly line): four stations serve the airport: Terminal 2 & 3, Terminal 4 and Terminal 5 serve the passenger terminals; Hatton Cross serves the maintenance areas. The usual journey time from Heathrow Central to Central London is around 40–50 minutes. Many buses and coaches operate from the large Heathrow Central bus station serving Terminals 2 and 3, and also from bus stations at Terminals 4 and 5. All terminals lie within the Heathrow Free Travel Zone with free travel between the terminals. Terminals 2 and 3 are within walking distance of each other. Transfers from Terminals 2 and 3 to Terminal 4 and 5 are provided by Heathrow Express trains and the London Underground Piccadilly line. Direct transfer between Terminals 4 and 5 is provided by London Buses routes 482 and 490. ULTra Personal Rapid Transport opened in April 2011 to shuttle passengers between Terminal 5 and the business car park at a speed of up to 40 km/h (25 mph). There are 21 small transportation pods that can each carry up to four adults, two children, and their luggage. The pods are battery-powered and run on a four-kilometre track. The capsules run on demand. The provider claims a 95% availability rate and no accidents so far. Plans to use the same technology to connect Terminals 2 and 3 to remote car parks were included in the draft 2014–2019 five-year master plan but have since been deferred due to other priorities. The Hotel Hoppa bus network connects all terminals to major hotels in the area. Entrance at the southern end of the M4 Motorway spur, showing a scale model of Concorde, replaced since 2008 by the Emirates A380 scale model. Heathrow is accessible via the nearby M4 motorway or A4 road (Terminals 2–3), the M25 motorway (Terminals 4 and 5) and the A30 road (Terminal 4). There are drop-off and pick-up areas at all terminals and short- and long-stay multi-storey car parks. All the Heathrow forecourts are drop-off only. There are further car parks, not run by Heathrow Airport Holdings, just outside the airport: the most recognisable is the National Car Parks facility, although there are many other options; these car parks are connected to the terminals by shuttle buses. On 3 March 1948, Sabena Douglas DC3 OO-AWH crashed in fog. Three crew and 19 of the 22 passengers on board died. On 31 October 1950, BEA Vickers Viking G-AHPN crashed at Heathrow after hitting the runway during a go-around. Three crew and 25 passengers died. On 16 January 1955, BEA Vickers Viscount G-AMOK crashed into barriers whilst taking off in fog from a disused runway strip parallel to the desired runway. There were 2 injuries. On 22 June 1955, BOAC de Havilland Dove G-ALTM crashed just short of the runway during a filming flight, when the pilot shut-down the incorrect engine. There were no casualties. On 1 October 1956, XA897, an Avro Vulcan strategic bomber of the Royal Air Force, crashed at Heathrow after an approach in bad weather. The Vulcan was the first to be delivered to the RAF, and was returning from a demonstration flight to Australia and New Zealand. The pilot and co-pilot ejected and survived, but the four other occupants were killed. On 27 October 1965, BEA Vickers Vanguard G-APEE, flying from Edinburgh, crashed on Runway 28R while attempting to land in poor visibility. All 30 passengers and six crew on board died. On 8 April 1968, BOAC Flight 712 Boeing 707 G-ARWE, departing for Australia via Singapore, suffered an engine fire just after take-off. The engine fell from the wing into a nearby gravel pit in Staines, before the plane managed to perform an emergency landing with the wing on fire. However, the plane was consumed by fire once on the ground. Five people – four passengers and a flight attendant – died, while 122 survived. The flight attendant, Barbara Harrison, who helped with the evacuation, was posthumously awarded the George Cross. On 3 July 1968, the port flap operating rod of G-AMAD, an Airspeed Ambassador operated by BKS Air Transport failed due to fatigue, thereby allowing the port flaps to retract. This resulted in a rolling movement to port which could not be controlled during the approach, causing the aircraft to contact the grass and swerve towards the terminal building. It hit two parked British European Airways Hawker Siddeley Trident aircraft, burst into flames and came to rest against the ground floor of the terminal building. Six of the eight crew died, as did eight horses on board. Trident G-ARPT was written off, and Trident G-ARPI was badly damaged, but subsequently repaired, only to be lost in the Staines crash in 1972. On 17 January 2008, a British Airways Boeing 777-236ER, G-YMMM, operating flight BA038 from Beijing, crash-landed at Heathrow. The aircraft landed on grass short of the south runway, then slid to the edge of the runway and stopped on the threshold, leading to 18 minor injuries. The aircraft was later found to have suffered loss of thrust caused by fuel icing. On 8 June 1968, James Earl Ray, the man convicted of 4 April 1968 assassination of Martin Luther King, Jr., was captured and arrested at Heathrow Airport while attempting to leave the United Kingdom on a false Canadian passport. On 6 September 1970, El Al Flight 219 experienced an attempted hijack by two PFLP members. One hijacker was killed and the other was subdued as the plane made an emergency landing at Heathrow Airport. On 26 November 1983, the Brink's-Mat robbery occurred, in which 6,800 gold bars worth nearly £26 million were taken from a vault near Heathrow. Only a small amount of the gold was recovered, and only two men were convicted of the crime. On 17 April 1986, semtex explosives were found in the bag of a pregnant Irishwoman attempting to board an El Al flight. The explosives had been given to her by her Jordanian boyfriend and father of her unborn child Nizar Hindawi. The incident became known as the Hindawi Affair. On 21 December 1988, Pan Am Flight 103 from Heathrow to New York JFK was blown up over Lockerbie, Scotland, killing all 259 on board and 11 other people on the ground. This also still remains the deadliest attack on a US aircraft. In March 2002, thieves stole US$3 million that had arrived on a South African Airways flight. In February 2003, the British Army was deployed to Heathrow along with 1,000 police officers in response to intelligence reports suggesting that al-Qaeda terrorists might launch surface-to-air missile attacks at British or American airliners. On 17 May 2004, Scotland Yard's Flying Squad foiled an attempt by seven men to steal £40 million in gold bullion and a similar quantity of cash from the Swissport warehouse at Heathrow. On 25 February 2008, Greenpeace activists protesting against the planned third runway managed to cross the tarmac and climb atop a British Airways Airbus A320, which had just arrived from Manchester Airport. At about 09:45 GMT the protesters unveiled a "Climate Emergency – No Third Runway" banner over the aircraft's tailfin. By 11:00 GMT four arrests had been made. On 13 March 2008, a man with a rucksack scaled the perimeter fence onto runway 27R, and ran across the grounds, resulting in his subsequent arrest. A controlled explosion of his bag took place, although nothing suspicious was found, and the Metropolitan Police later said that the incident had not been terrorism related. On 13 July 2015, thirteen activists belonging to the climate change protest group Plane Stupid managed to break through the perimeter fence and get onto the northern runway. They chained themselves together in protest, disrupting hundreds of flights. All were eventually arrested. On 12 July 2013, the ELT on an Ethiopian Airlines Boeing 787 Dreamliner parked at Heathrow airport caught fire due to a short circuit. There were no passengers aboard and no injuries. There is a long history of expansion proposals for Heathrow since it was first designated as a civil airport. Following the cancellation of the Maplin project in 1974, a fourth terminal was proposed but expansion beyond this ruled out. However, the Airports Inquiries of 1981-83 and the 1985 Airports Policy White Paper considered further expansion and, following a four-year long public inquiry in 1995-99, Terminal 5 was approved. In 2003, after many studies and consultations, the Future of Air Transport White Paper was published which proposed a third runway at Heathrow, as well as a second runway at Stansted Airport. In January 2009, the Transport Secretary at the time, Geoff Hoon announced that the British government supported the expansion of Heathrow by building a third 2,200-metre (7,200 ft) runway and a sixth terminal building. This decision followed the 2003 white paper on the future of air transport in the UK, and a public consultation in November 2007. This was a controversial decision which met with widespread opposition because of the expected greenhouse gas emissions, impact on local communities, as well as noise and air pollution concerns. Prior to the 2010 general election, the Conservative and Liberal Democrat parties announced that they would prevent the construction of any third runway or further material expansion of the airport's operating capacity. The Mayor of London, then Boris Johnson, took the position that London needs more airport capacity, favouring the construction of an entirely new airport in the Thames Estuary rather than expanding Heathrow. After the Conservative-Liberal Democrat coalition took power, it was announced that the third runway expansion was cancelled. Two years later, leading Conservatives were reported to have changed their minds on the subject. Another proposal for expanding Heathrow's capacity was the Heathrow Hub, which aims to extend both runways to a total length of about 7,000 metres and divide them into four so that they each provide two, full length runways, allowing simultaneous take-offs and landings while decreasing noise levels. In July 2013, the airport submitted three new proposals for expansion to the Airports Commission, which was established to review airport capacity in the southeast of England. The Airports Commission was chaired by Sir Howard Davies who, at the time of his appointment was in the employ of GIC Private Limited (formerly known as Government Investment Corporation of Singapore) and a member of its International Advisory Board. GIC Private Limited was then (2012), as it remains today, one of Heathrow's principal owners. Sir Howard Davies resigned these positions upon confirmation of his appointment to lead the Airports Commission, although it has been observed that he failed to identify these interests when invited to complete the Airports Commission's register of interests. Each of the three proposals that were to be considered by Sir Howard Davies's commission involved the construction of a third runway, either to the north, northwest or southwest of the airport. The commission released its interim report in December 2013, shortlisting three options: the north-west third runway option at Heathrow, extending an existing runway at Heathrow, and a second runway at Gatwick Airport. After this report was published, the government confirmed that no options had been ruled out for airport expansion in the South-east and that a new runway would not be built at Heathrow before 2015. The full report was published on 1 July 2015, and backed a third, north-west, runway at Heathrow. Reaction to the report was generally negative, particularly from London Mayor Boris Johnson. One senior Conservative told Channel 4: "Howard Davies has dumped an utter steaming pile of poo on the Prime Minister's desk." On 25 October 2016, the government confirmed that Heathrow would be allowed to build a third runway; however, a final decision would not be taken until winter of 2017/18, after consultations and government votes. The earliest opening year would be 2025. On 5 June 2018, the UK Cabinet approved the third runway, with a full vote planned for Parliament. On 25 June 2018, the House of Commons voted, 415–119, in favour of the third runway. The bill received support from most MPs in the Conservative and Labour parties. A judicial review against the decision is being launched by four London local authorities affected by the expansion—Wandsworth, Richmond, Hillingdon and Hammersmith and Fulham—in partnership with Greenpeace and London mayor Sadiq Khan. Khan previously stated he would take legal action if it were passed by Parliament. Currently, all rail connections with Heathrow airport run along an east-west alignment to and from central London, and a number of schemes have been proposed over the years to develop new rail transport links with other parts of London and with stations outside the city. This mainline rail service is due to be extended to central London and Essex when the Elizabeth line, currently under construction, opens in 2019. A 2009 proposal to create a southern link with London Waterloo via the Waterloo–Reading line was abandoned in 2011 due to lack of funding and difficulties with a high number of level crossings on the route into London, and a plan to link Heathrow to the planned High Speed 2 (HS2) railway line (with a new station, Heathrow Hub) was also dropped from the HS2 plans in March 2015. HS4Air, a proposal for a new high-speed railway line which would link HS2 to the High Speed 1 line and the Channel Tunnel via a southern route, with stations at Heathrow and Gatwick Airports. The Mayor of London's office and Transport for London commissioned plans in the event of Heathrow's closure—to replace it by a large built-up area. Some of the plans seem to show terminal 5, or part of it, kept as a shopping centre. ^ a b c d "Aircraft and passenger traffic data from UK airports". UK Civil Aviation Authority. 11 February 2018. Retrieved 11 March 2018. ^ a b c "London Heathrow – EGLL". NATS Aeronautical Information Service. Retrieved 21 April 2011. ^ "Company information". Retrieved 4 March 2016. ^ Calder, Simon (1 July 2015). "Heathrow Airport expansion: Commission report backs third runway". The Independent. London. Retrieved 23 March 2018. ^ Andrew Simms (1 July 2015). "Forget Heathrow expansion, Davies report should tackle frequent flyers". the Guardian. Retrieved 23 March 2018. ^ "Third runway at Heathrow cleared for takeoff by ministers". BBC News. 25 October 2016. Retrieved 23 March 2018. ^ "Myrtle Avenue, Hounslow". Google Maps. Retrieved 26 March 2013. ^ "Facts and figures". Heathrow Airport. Retrieved 13 March 2019. ^ "International Air Passenger Traffic To and From Reporting Airports for 2013" (PDF). Civil Aviation Authority. p. 68. Archived from the original (PDF) on 4 July 2015. Retrieved 12 February 2015. ^ "Heathrow Concorde model removed". BBC News. 30 March 2007. Retrieved 23 March 2018. ^ "Multi faith prayer rooms". Heathrow Airport. ^ "Heathrow's hidden gems". CNN. 13 July 2007. Retrieved 21 April 2011. ^ BAA Heathrow (2004–2005). "Flight Evaluation Report 2004/05" (PDF). Archived from the original (PDF) on 26 November 2005. Retrieved 2 November 2007. ^ "Noise limits". Heathrow Airport. Retrieved 27 January 2013. ^ "Heathrow begins trial of noise relief zones". BBC News. 4 December 2012. Retrieved 23 March 2018. ^ Hugh Morris (1 November 2016). "Half of Heathrow's 25,000 noise complaints made by the same 10 people". The Telegraph. Retrieved 23 March 2018. ^ "IATA attacks higher landing charges at British airports". Agence France-Presse. 12 March 2008. Archived from the original on 2 November 2013. Retrieved 14 March 2008. ^ "Heathrow and Gatwick face new airline fee caps". BBC News. 30 April 2013. Retrieved 23 March 2018. ^ "Economic Regulation of Heathrow and Gatwick Airports 2008–2013". Civil Aviation Authority. 11 March 2008. Retrieved 23 March 2018. ^ "BA boss joins attack on Heathrow". BBC News. 1 August 2007. Retrieved 28 October 2007. ^ "Heathrow airport hits record 70 million passengers". BBC News. 18 February 2013. Retrieved 18 February 2013. ^ Millward, David (30 October 2007). "Heathrow voted world's least favourite airport". The Daily Telegraph. London. Retrieved 30 October 2007. ^ Rowan, David (1 March 2010). "Work Smarter: McLaren". Wired. ^ Airport Coordination Ltd (February 2002). "Submission to the CAA Regarding Peak Periods at Heathrow" (PDF). Archived from the original (PDF) on 16 February 2008. Retrieved 13 January 2008. ^ "BA pushes for 'mixed mode' at Heathrow". UK Airport News. Archived from the original on 12 December 2007. Retrieved 31 May 2008. ^ a b "Security (body) scanners". Heathrow Airport. Retrieved 23 March 2018. ^ "Airport body scanners: Heathrow trials new 'privacy friendly' security technology". Daily Mail. London. 5 September 2011. Retrieved 23 March 2018. ^ Blachly, Linda (4 June 2014). "United is first airline to fly out of Heathrow Airport's new T2". Air Transport World. Retrieved 23 March 2018. ^ "Heathrow Terminal 2 named Queen's Terminal". BBC News. 14 June 2013. Retrieved 23 March 2018. ^ "Heathrow airport's new Terminal 2 opens to passengers". BBC News. 23 November 2009. Retrieved 23 March 2018. ^ Hofmann, Kurt (28 May 2014). "New London Heathrow T2 opening set for June 4". Air Transport World. Retrieved 23 March 2018. ^ "The new Terminal 2: Only one year to go" (Press release). Heathrow Airport. 4 June 2013. Retrieved 23 March 2018. ^ "Heathrow's Terminal 2 to be opened in stages". BBC News. 3 June 2014. Retrieved 4 June 2014. ^ "Heathrow Terminal One deserted ahead of closure next month". ITV News. 28 May 2015. Retrieved 23 March 2018. ^ "Demolition work begins at Heathrow's Terminal 2". BBC News. 29 April 2010. Retrieved 23 March 2018. ^ "Our history". Heathrow Airport Holdings. Archived from the original on 13 July 2015. Retrieved 23 March 2018. ^ "Debut A380 flight lands in London". BBC News. 18 March 2008. Retrieved 23 March 2018. ^ "BAA Heathrow unveils plans to re-develop Terminal 3" (Press release). BAA. 15 February 2007. Retrieved 23 March 2018. ^ "Heathrow facts and figures". Heathrow Airport Limited. Archived from the original on 5 July 2015. Retrieved 23 March 2018. ^ "Terminal 4's £100m new check-in area reaches the top" (Press release). BAA. Retrieved 23 March 2018. ^ "Queen opens new Heathrow Terminal". BBC News. 14 March 2008. Retrieved 23 March 2018. ^ "British Airways reveals what went wrong with Terminal 5". Computer Weekly. 14 May 2008. Retrieved 23 March 2018. ^ "Iberia to move to Heathrow T5". Business Traveller. 8 February 2012. Retrieved 23 March 2018. ^ Andy, Ivy (1 January 2012). "Londen Heathrow". Vliegveld Londen (in Dutch). Vliegveld Londen. Retrieved 23 March 2018. ^ "Heathrow Terminal 5" (PDF). Archived from the original (PDF) on 19 July 2011. ^ "Heathrow Terminal 5: The Vital Statistics". Sky News. 15 March 2008. Archived from the original on 12 July 2012. Retrieved 7 May 2011. ^ "ULTra PRT – FAQ". ATS ULTra. 2010. Archived from the original on 16 June 2010. Retrieved 1 July 2010. ^ "Terminal 2 opens as the Star Alliance terminal at London Heathrow Airport". World Airline News. 4 June 2014. ^ "London Heathrow Airport bids farewell to Terminal 1". BBC News. 29 June 2015. ^ "Air India re-locates at Heathrow T2 - Business Traveller – The leading magazine for frequent flyers". Business Traveler. 26 January 2017. Retrieved 23 March 2018. ^ "Delta to move all Heathrow services to Terminal 3 - Business Traveller – The leading magazine for frequent flyers". Business Traveler. 22 August 2016. Retrieved 23 March 2018. ^ "Heathrow - Heathrow bids farewell to Terminal 1" (Press release). Heathrow. Retrieved 23 March 2018. ^ Walton, John (31 May 2012). "British Airways takes over, rebrands BMI lounge at Heathrow T1". Australian Business Traveller. Retrieved 23 March 2018. ^ Calder, Simon (23 January 2015). "Heathrow and Gatwick: Terminal confusion at London's airports". The Independent. Retrieved 23 March 2018. ^ Paylor, Anne (29 June 2015). "London Heathrow turns out the lights in Terminal 1". Air Transport World. Retrieved 23 March 2018. ^ Mellon, James (30 June 2015). "Heathrow shuts doors on Terminal 1 flights". London: Flightglobal. Retrieved 23 March 2018. ^ "Heathrow destinations list". Retrieved 6 June 2018. ^ "Flight Schedules - Air Canada". Retrieved 13 October 2018. ^ "Air France flight schedule". Retrieved 13 October 2018. ^ "Flight schedules and notifications". Retrieved 13 October 2018. ^ "American Airlines first flight between Phoenix and London takes off". Chamber Business News. April 1, 2019. Retrieved April 1, 2019. ^ "British Airways - Timetables". Retrieved 21 August 2018. ^ Airways, British. "BRITISH AIRWAYS TAKES OFF TO ISLAMABAD, PAKISTAN". mediacentre.britishairways.com. Retrieved 23 January 2019. ^ a b "British Airways - SUMMER SCHEDULE SHAPES UP". Mediacentre.britishairways.com. Retrieved 16 October 2018. ^ a b Airways, British. "LOOK AHEAD TO SUMMER AS SCHEDULE SHAPES UP". mediacentre.britishairways.com. Retrieved 23 January 2019. ^ "China Southern Airlines timetable". Retrieved 13 October 2018. ^ "China Southern adds Zhengzhou – London Heathrow route from late-June 2019". airlineroute.net. Retrieved 27 March 2019. ^ "Delta Flight Status". Retrieved 13 October 2018. ^ "Daily flights to London Heathrow from Guernsey announced". ITV News. Retrieved 3 April 2019. ^ "£825k subsidy for new Flybe link to Heathrow". Guernsey Press. Retrieved 3 April 2019. ^ "Timetable - KLM.com". Retrieved 13 October 2018. ^ "Timetable - Lufthansa". Retrieved 13 October 2018. ^ "Timetables | Qantas". Retrieved 13 October 2018. ^ "Istanbul New Airport Transition Delayed Until April 5, 2019 (At The Earliest)". ^ "United Flight Schedules". Retrieved 13 October 2018. ^ "Flight Schedules | Virgin Atlantic". Retrieved 13 October 2018. ^ Liu, Jim (25 February 2019). "Virgin Atlantic adds Tel Aviv service from late-Sep 2019". Routesonline. Retrieved 25 February 2019. ^ "Passenger Traffic for the last 12 months". ACI. 11 April 2016. Retrieved 23 March 2018. ^ "Investor Relations - Paris Airports Traffic". Aeroports De Paris. Retrieved 23 March 2018. ^ "Turkish Airport Statistics". DHMI. Archived from the original on 10 May 2015. Retrieved 23 March 2018. ^ "Cargo Traffic 2013 Final". Airports Council International. 2013. Retrieved 23 March 2018. ^ a b c "Airport Data 2018". UK Civil Aviation Authority. 3 March 2019. Tables 12.1(XLS) and 12.2 (XLS). Retrieved 3 March 2019. ^ "Explore Our Working World". British Airways. 3 March 2006. Archived from the original on 3 March 2006. ^ "World Business Centre Heathrow". thearoragroup.com. Retrieved 23 March 2018. ^ "IAG – International Airlines Group – Investor Relations Team". Iairgroup.com. Retrieved 23 March 2018. ^ "IAG – International Airlines Group – About Us". Iairgroup.com. Retrieved 23 March 2018. ^ "World Airline Directory." Flight International. 26 March – 1 April 1997. 58. "Speedbird House, PO Box 10, London Heathrow Airport, Hounslow, Middlesex, TW6 2JA, UK." ^ McKellar, Susie and Penny Sparke. "The Contemporary Office." Interior Design and Identity. Manchester University Press, 2004. 200. Retrieved from Google Books on 12 February 2010. ISBN 0-7190-6729-4, ISBN 978-0-7190-6729-7. ^ "Best Way to Get from Heathrow to London". www.autoeurope.com. Auto Europe. Retrieved 23 March 2018. ^ "Heathrow Airport trains". Heathrow Airport. Retrieved 23 March 2018. ^ "Travel between terminals – Heathrow terminal transfers". Heathrow Airport. Retrieved 23 March 2018. ^ "Heathrow to Debut Futuristic Travel Pods". PopSci.com.au. 27 January 2009. Retrieved 27 January 2009. ^ "My Pods". Futureairports. 2014 (1): 61. ^ "Heathrow: Airport taxi". Heathrow Airport. Retrieved 23 March 2018. ^ "Emirates launches A380 model at LHR". Business Traveller. 24 July 2008. Retrieved 23 March 2018. ^ "Heathrow Short Stay Parking". Heathrow Airport. Retrieved 23 March 2018. ^ "Heathrow Long Stay Parking". Heathrow Airport. Retrieved 23 March 2018. ^ "Heathrow parking picking up and dropping off information". www.heathrow.com. Retrieved 23 March 2018. ^ Transport for London free maps 'London Cycling Guide 6' covers Terminals 1, 2 & 3 while 'London Cycling Guide 9' covers Terminal 4 (as of the June 2007 revision). ^ "Aviation Safety Network G-AHPN". Aviation Safety Network. Retrieved 23 March 2018. ^ "ICAO Aircraft Accident Digest No 7, Page 46" (PDF). ICAO. Retrieved 23 March 2018. ^ "Flight 13 January 1956, Civil Aviation". Flightglobal. Retrieved 23 March 2018. ^ "Accident description". Aviation Safety Network. Retrieved 23 March 2018. ^ "ASN Aircraft accident description Vickers 951 Vanguard G-APEE – London–Heathrow Airport (LHR)". Aviation Safety Network. Retrieved 23 March 2018. ^ "Night the sky turned to flames". The Scotsman. Edinburgh. 1 December 2005. Retrieved 23 March 2018. ^ "Women awarded the George Cross". Stephen-stratford.com. Archived from the original on 19 June 2018. Retrieved 23 March 2018. ^ "Aviation Safety Network G-AMAD". Aviation Safety Network. Retrieved 23 March 2018. 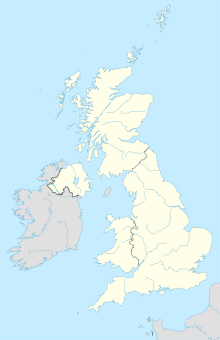 ^ "1972: UK's worst air crash kills 118". BBC News. 18 June 1972. Retrieved 23 March 2018. ^ Symonds, Tom (4 September 2008). "'Ice in fuel' caused BA jet crash". BBC News. Retrieved 23 March 2018. ^ "Heathrow Airport History". Milesfaster.co.uk. Retrieved 31 May 2008. ^ "Brinks Mat gold". BBC News. 15 April 2000. Retrieved 23 March 2018. ^ Reynolds, Paul (16 December 2002). "Assad engages politics of politeness". BBC News. Retrieved 23 March 2018. ^ "1988: Jumbo jet crashes onto Lockerbie". BBC News. 21 December 1988. Retrieved 23 March 2018. ^ "$3m heist at Heathrow". BBC News. 19 March 2002. Retrieved 23 March 2018. ^ "Flying Squad foils £80m robbery". BBC News. 18 May 2004. Retrieved 23 March 2018. ^ "Climate protest on Heathrow plane". BBC News. 25 February 2008. Retrieved 23 March 2018. ^ "Man arrested over Heathrow alert". BBC News. 13 March 2008. Retrieved 23 March 2018. ^ Dron, Alan (13 July 2015). "London Heathrow cancels flights due to protests over third runway". Air Transport World. Archived from the original on 15 July 2015. ^ "Heathrow Airport climate change protest delays flights". BBC News. 13 July 2015. Retrieved 23 March 2018. ^ "Heathrow Winter Resilience Enquiry" (PDF). ^ "BAA launches inquiry into Heathrow Airport snow chaos". BBC News. 23 December 2010. Retrieved 23 March 2018. ^ "De-icing Aircraft Parking Stands". Retrieved 23 March 2018. ^ "Plane on fire at Heathrow airport was Boeing Dreamliner-TV". Reuters. 12 July 2013. Retrieved 23 March 2018. ^ "Heathrow shut after Boeing Dreamliner 787 fire". BBC News. 12 July 2013. Retrieved 23 March 2018. ^ "Britain's Transport Infrastructure: Adding Capacity at Heathrow: Decisions Following Consultation, January 2009" (PDF). Department of Transport. Archived from the original (PDF) on 13 May 2010. Retrieved 16 January 2009. ^ "The Future of Air Transport" (PDF). 1 December 2003. ^ "Industry backs third Heathrow runway as consultation opens". Flight International. 22 November 2007. Archived from the original on 26 December 2007. Retrieved 8 December 2007. ^ Needham, Duncan (27 October 2014). "Maplin: the Treasury and London's third airport in the 1970s". History & Policy. History & Policy. Retrieved 23 March 2018. ^ "Heathrow's new runway". BBC News. 15 January 2009. Retrieved 23 March 2018. ^ "Heathrow third runway plans scrapped by new government". BBC News. 12 May 2010. Retrieved 23 March 2018. ^ Helm, Toby; Doward, Jamie (24 March 2012). "Top Tories admit: we got it wrong on third runway". The Observer. London. Retrieved 23 March 2018. ^ Parker, Andrew; Jacobs, Rose (10 March 2013). "Pilot plots longer Heathrow runways". Financial Times. London. Retrieved 23 March 2018. ^ "CPS paper – Double Upon Heathrow – July 2013" (PDF). Retrieved 23 March 2018. ^ "Heathrow submits third runway options to Davies Commission". BBC News. 17 July 2013. Retrieved 23 March 2018. ^ "Airports Commission reveals expansion shortlist". BBC News. 17 December 2013. Retrieved 23 March 2018. ^ "Airports Commission releases final report". gov.uk. 1 July 2015. Retrieved 23 March 2018. ^ Blackhurst, Chris (1 July 2015). "Heathrow expansion: This final 'conclusion' has simply fanned the airport flames". The Independent. London. Retrieved 23 March 2018. ^ "Heathrow Airport: Cabinet approves new runway plan". BBC News. 5 June 2018. ^ Davidson, Lynn (26 June 2018). "Heathrow Airport third runway wins Parliament vote after protesters force lockdown and MPs shout 'Where's Boris?'". The Sun. Retrieved 16 October 2018. ^ Sparrow, Andrew; Rawlinson, Kevin (25 June 2018). "House of Commons backs third runway for Heathrow airport – as it happened | Politics". The Guardian. Retrieved 16 October 2018. ^ "Heathrow expansion plans approved for take-off after Commons vote". ^ "Heathrow third runway: Sadiq Khan backs legal challenge". BBC News. BBC News. 21 June 2018. Retrieved 16 October 2018. ^ Coogan, Matthew A. (2000). Improving Public Transportation Access to Large Airports. Leigh Fisher Associates, Transportation Research Board, Transit Cooperative Research Program. p. 66. ISBN 9780309066594. Retrieved 12 September 2018. ^ Blow, Christopher J. (2013). "15. Public transport interchanges". Airport Terminals: Butterworth Architecture Library of Planning and Design. Butterworth-Heinemann. pp. 90–92. ISBN 9781483145051. Retrieved 12 September 2018. ^ "Heathrow Airtrack Waterloo rail link shelved by BAA". BBC News London. 11 April 2011. Retrieved 23 March 2018. ^ Samuel, A. (11 April 2011). "Heathrow: 'No option but to withdraw proposed Airtrack link to Staines'". Rail News from Rail.co. Archived from the original on 18 January 2012. Retrieved 11 April 2011. ^ "High Speed Rail: Investing in Britain's Future". Department for Transport. Retrieved 23 March 2018. ^ "HS2: Heathrow spur plans dropped by transport minister". BBC News. 10 March 2015. ^ "Heathrow and Gatwick airports: Ministers mull rail link". BBC News. 8 October 2011. Retrieved 23 March 2018. ^ Commons, The Committee Office, House of. "House of Commons - Transport Committee: Written evidence from Interlinking Transit Solutions Ltd (AS 115)". www.publications.parliament.uk. Retrieved 1 July 2017. ^ Morby, Aaron (8 May 2018). "DfT tests appetite for £2.3bn Heathrow rail links | Construction Enquirer". www.constructionenquirer.com. Construction Enquirer. Archived from the original on 12 September 2018. Retrieved 12 September 2018. ^ MCINTYRE, FIONA. "Private partner wanted for £900M Heathrow rail link". New Civil Engineer. Archived from the original on 12 September 2018. Retrieved 12 September 2018. ^ "Proposed Route - Heathrow Southern Railway". Heathrow Southern Railway. Retrieved 22 August 2018. ^ Nolan, Tara. "HS4Air: The UK needs a strategic plan for its transport infrastructure". Global Railway Review. ^ Cockroft, Steph (16 July 2014). "Heathrow City, 190,000-home town that would open if airport closes". Daily Mail. London. Retrieved 23 March 2018. ^ "Drones and homes replace runways in 'Heathrow City' plans". Financial Times. London. ^ "'Heathrow City' designs set out". Express & Star. 15 July 2014. Retrieved 23 March 2018. ^ Crerar, Pippa (5 December 2013). "Vision of a new London borough on site of abandoned Heathrow is revealed". London Evening Standard. Retrieved 23 March 2018. Wikimedia Commons has media related to London Heathrow Airport. Wikivoyage has a travel guide for Heathrow Airport.